Posted: Tuesday 21st July 2015 in Paid Media, Thought Leadership. it’s the turn of the product feed to receive attention. 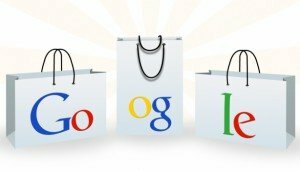 In the past Google has worked to encourage retailers to improve the quality of their product feeds through product rejections and feed suspensions, however the upcoming changes will now allow retailers a bit more flexibility over the content of some of the attributes. Not all changes are mandatory, but any offending SKUs are expected to be flagged in the merchant centre from the 15th September, so keep an eye out for these. Probably the most significant change we will see, and potentially the biggest cause of disapproval risks, is regarding the GTIN population. All products where the ‘brand’ is a designated brand and the ‘condition’ is ‘new’ must submit a valid GTIN. Unique product identifiers (UPIs) are already required but Google is being increasingly strict around UPI accuracy. Items with missing or incorrect unique product identifier values will be rejected. Designated brands include major players such as Apple, Adidas and Disney. ID: Currently you are required to provide the full Google product category path in a text format based upon the Google product taxonomy. This change sees retailers able to utilise numeric IDs instead. Taxonomy updates: Some categories within the Google product taxonomy have changed; these include some ‘clothing’, ‘books’, ‘active wear’ and ‘arts & crafts’ categories. Reviewing the merchant centre errors will highlight any erroneous categorisation, or alternatively, you can view the full UK taxonomy. Variant attributes will now be grouped and known as “detailed product attributes”. Google already recommends providing these attributes if they are relevant so we believe this to be a naming change rather than a functional amendment. “Detailed product attributes” include: ‘color’, ‘size’, ‘pattern’, ‘material’, ‘age group’, ‘gender’, ‘size type’ and ‘size system’. Google will disapprove any IDs with invalid characters or sequences which are difficult to use within a user interface, e.g. trailing whitespaces or control characters. Shipping is now a mandatory attribute for additional territories: CH, CZ, ES, IT, JP and NL. Errors will be displayed within the merchant centre from February 2016. The feed will support US units as well as metric units. Volume (floz, pt, qt, gal), weight (oz, only lb), length (in, ft, yd) and area (sqft) can all now be included within the feed. Although there are no real game changers here, there are however changes which mean action on your feed is likely to be required. Check the designated brand list to see if any brands you stock are included, and if so, ensure GTINs are populated and accurate. Google product categories should be checked to ensure ongoing validity. Include as much additional information as possible; this improves search relevancy and query matching, and could be the difference between serving or not. As is the advised best practice to ensure great feed quality, review your Google merchant centre diagnostics regularly to check for product warnings, suspensions or optimisation opportunities. From the 15th September issues will begin to be flagged within the merchant centre for attention, so utilise this tool to identify where the issues are and help to keep your products serving. If you have any questions about Google Shopping and feed management, or would like to know more about how we can help you make more money online, contact Dave Trolle on 01482 876876.